The new DVB-UHDTV Phase 1 specification allows for the over-the-air transmission of 3840x2160 resolution pictures at 60Hz and promises much improved colour depth with 10 bits per pixel rather than 8. It will be a huge step forward in TV picture quality, offering a whole new range of colours, higher frame rates, double the horizontal and vertical resolution and four times the number of pixels. That's nine times as many pixels as an 'HD Ready' 720p picture. The standard uses HEVC, the same compression system that's being used for Netflix's 4K Ultra HD internet streams, which offers double the data compression ratio compared to MPEG-4/H.264. It effectively means that while the number of pixels quadruples, they'll only need double the bandwidth. "HEVC is the most recently-developed compression technology and, among other uses, it is the key that will unlock UHDTV broadcasting," said Phil Laven, DVB Steering Board Chairman. "This new DVB–UHDTV Phase 1 specification not only opens the door to the age of UHDTV delivery but also potentially sets the stage for Phase 2, the next level of UHDTV quality, which will be considered in upcoming DVB work." 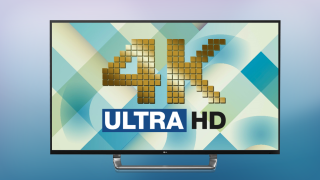 While great news for 4K enthusiasts, there are some caveats to all this excitement. The main one being that the new specification is completely incompatible with any of today's TV tuners, even the ones inside brand new 4K TVs with HEVC decoding built-in. So if you've bought a 4K TV already, you'll need to splash out on a set-top box as and when. If all goes to plan, we would expect compatible TVs to start shipping in 2015. The new DVB-UHDTV Phase 1 specification has been delivered to the European Telecommunications Standards Institute, a not-for-profit body which is expected to formally standardise the specification in due course. Phase 2, on the other hand, could well deliver even higher frame rates, HDR pictures and possibly even 8K resolutions - we just don't know. At the same meeting, the DVB Steering Board also ratified a couple of other new standards. One relates to the synchronisation of broadcasts with second screens like phones and tablets and will enable the development of more advanced second screen functionality. This could be as simple as delivering 'live' scores for sports events without spoiling big moments if you're behind the live broadcast, but could also be used for viewer interaction for example in live TV quizzes. And the final standard is a new MPEG-DASH profile for streaming adaptive bitrate media over the internet. The idea is that by creating an industry standard for detecting your bandwidth and delivering the best possible picture and sound quality, the number of different options for doing so will decrease, simplifying the business of delivering 4K video over the internet, accelerating growth.